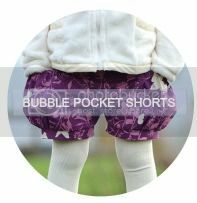 The Bubble Pocket Top & Spin Skirt pattern is coming soon. How about a giveaway for three copies of this newest E & E Pattern for three lucky readers even before its release?! 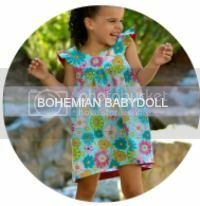 This pattern will be available in sizes 18m - 10 years and is a great pattern for anyone from the confident beginner to an experienced seamstress. 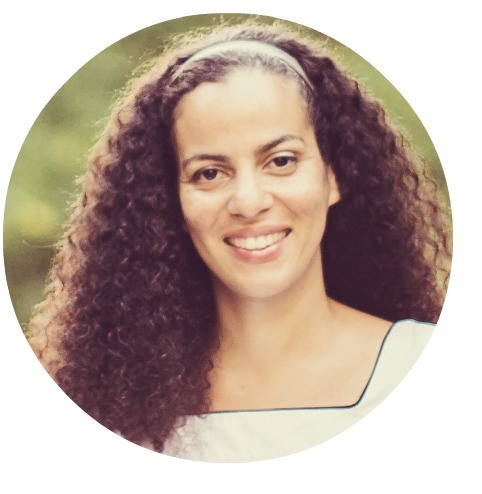 Both the top and skirt are included, which will give endless possibilities to coordinate with other clothing, even layering for the cooler seasons. 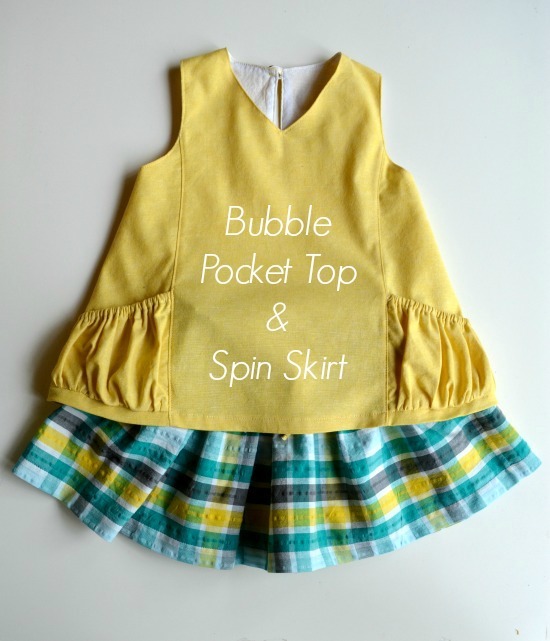 150 comments on "Bubble Pocket Top and Spin Skirt Giveaway"
I would make it for all 3 of my girls. So cute! Both of my girls need this!!! Love this outfit! can't wait to try it. I just might try it with a heavier fabric and put a long sleeve under the top and have it for the fall/winter too! I LOOOOOVE your style Heidi!!! Great job on this pattern!!! I will of course make it for my girlie! I think I'll do a solid for the top and the bottom in this adorable apple fabric! And then add an applique to the front of the top! An apple on the pocket would be so cute, too! Such a pretty complete outfit, usually I either come across a great top or great skirt, this is an all in one.... Well done and thank you for the opportunity to win..
OOPS, I would make a size 2 for my best friends little girl. My 2 year old daughter! I'm so excited to make up several of these for my toddler! These are beautiful garments as is, and beautiful elements for remixing! i'd make a set for each of my 3 daughters! Thank you so much for the opportunity!! I love it and would make it for my daughter. A lot! I have 4 nieces and 1 daughter. They need some new clothes! I will make this for my grand daughter. Since I only have a dog and I don't think he would wear it, I would make it for my 2 nieces. I think they would love it! I also think it is great that is goes up to 10 years, it's such a pity a lot of patterns only go up to a size 8 since my nieces are 9 and 7.5 years old. Perfect summer outfit for my 3 year old! Oh I love this! I have a 2 year old that would be perfect for this. Oh I love this top!! I love both pieces! I would make it for both my girlies. I would like to make this for my God-baby Ella. My six year old girl! It's adorable and perfect for our Australian summer. My 7 year old would love it! Oh my daughter (age 2) would look adorable in this!! I've got four daughters that would love it! 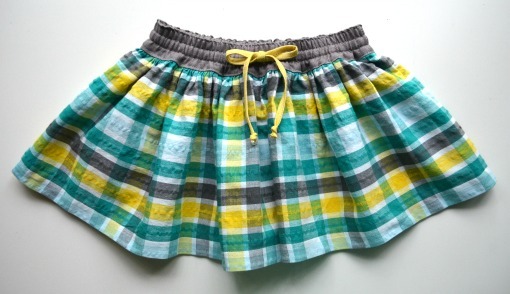 I've already made the shorts for my kiddo (age 3) and this is definitely on my "need to sew this summer" list. I have some great Birch fabric to use!! I have two daughters. This would be perfect! My 8yo and twin 2yos! 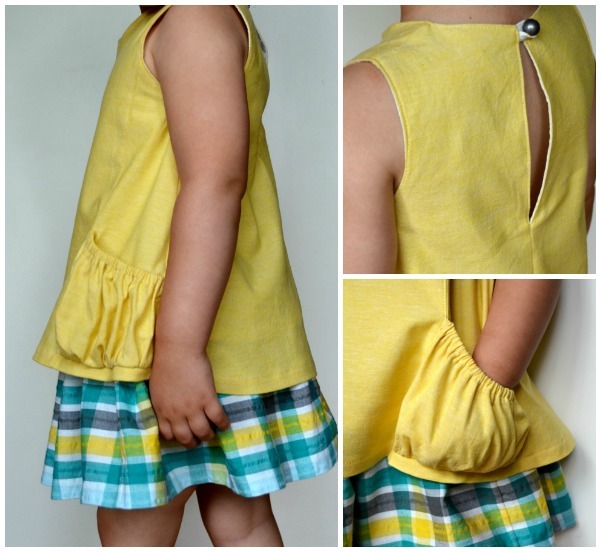 I'm always sewing for my daughter, but my friend's daughter would LOVE to have a top with big pockets. I would make these for my daughter. And of course my nieces too. Thank you for the chance to win these! I would make this for all 3 of my girls and then I would try to make one for me cause I love it so much! I'd make this for my 3 year old. I only have boys right now, but I have plenty of nieces who NEED me to make them some of these. I loooooove your style. I really do!!!! And those big pockets are just perfect for my six year old little explorer. Thanks a lot!! I'm totally making this for my baby girl! So cute! My 7 year old girl! I love this outfit. Soooo adorable. I will make this for my 14 month old girl! not only will my two little girls love this outfit, but we have a few birthdays coming up, and some new clothes make great gifts! It would look super cute on my daughter! My daughter and her best friend. The are 2.5 and 3 and both love clothes! I plan to make this for my daughter. I'd make it for my little daughter Abigail! Thanks for the chance. I love this pattern combo. If we weren't camping most of the week, I'd have volunteered and hoped to be a pattern tester for you. I'd make the first outfit for my 6.5 year old daughter. I'd probably make a couple shirts for my good friend's daughter too. Thanks! I would love to make this for my daughter!!! I would love to win this pattern for my daughters, such a cute design, love it! Gorgeous pieces...and I love the range of sizes too! Awesome! I love this idea! II would make it for a few baby girls I know. Love this tutorial! It's just so darn cute! I plan on making this for my daughter! i love this top and can't wait to make one! This pattern is adorable! I would make this for both of my girls. Holy Cow such an awesome duo pattern. I would make lots for my little girl and I have several Nieces who would look awesome in them too. Definitely my 1 yr old Granddaughter who lives with us along with her parents for now. She LOVES hanging out in Grandma's sewing room and I love it. I am getting her hooked on fabric already. I would definitely make the whole outfit for my little girl! Gorgeousness in a pattern! Love love it. I'm such a fan of those bubble pockets!! The skirt needs to be a part of my fall sewing! Love it all! I would make this for one of my 4 girls!! love it! I would make this for my little woman, who is 2, and quite the fashionista!!! I would let her choose the fabric, and I know she will make sure it is def one of a kind!!! I'd make an outfit for each of my granddaughters...one living in Tennessee & one in Israel. I love sewing for them, it makes me feel close to them. Thanks for sharing, you're very talented! Your patterns are SO awesome. I'd love to make several of these for my baby girl! So precious. I love the fabric you used on the skirt. My daughter would just love the pockets. So fun! This is totally for my baby girl! Those pockets are killing me! That's sweet of you, to give a few copies away! I'd like to make a set for my 5yo daughter, and next year for my youngest daughter, 5months old now. I la-la-la-love that top! Crossing my fingers! Planning on making this for my nearly 3 year old's birthday. I have the perfect fabric here waiting! love your patterns, am planning to make this for my husband's granddaughter.. I would make this for my daughter, and perhaps for my niece. Thanks for the giveaway! Perfect for my 4 year old daughter! Love the skirt for my 2y old ! So darling! I'd love to make this for my little girl. I will love to make them for my daughter and my niece. I would love to make for my DGD!!! Thank you for the opportunity to win! I would make them for my two girls and as a cute gift for my niece! I would make this outfit for my daughter. this is so cute.i really really hope i win. My daughter would look great in this adorable pattern! My girls would love this pattern! I adore this outfit! It seems like a really great casual or dressed up style for hot summer months. For my older daughter as my youngest is not quite big enough yet. I would make it for my two daughters. Both are obsessing over pockets to put in their collectables. I'd make this for my daughter and perhaps in the future for my niece! I would make a ton for my baby girl Evelynn!!! Both of my girls! They love E&E clothes! I would make this for my daughter and my niece! My niece! She's crazy about her ruffle top dress, so this would make her very happy! It would be perfect for my girls. I would make the bubble top for my 2yr old. And a few Back to School skirts for my 7yr old. Love your patterns. So cute! I have some seersucker and poplin that would be perfect! I'd love to make this for my twin granddaughters! I would make it for my God sisters. Well as a strartong point I want to make this for my 4 year old niece for Christmas. It's summer here is Australia at Christmas time so it would be perfect! Then I can't really see myself stopping at one. I have a lot of friends with little girls and and would have so much fun diving into my fabric stash and making many of them this gorgeous outfit! Thanks! I will make a top for my 3 year old who loves to put treasures in her pockets!!!! For my precious granddaughter, Eden. This outfit is so cute! I would love to have this pattern so I can make it for my daughter who is wearing 18 mo. size right now. I would make this outfit twice if I am fortunate enough to win, first for our year old granddaughter Lily then secondly for our granddaughter Sophie that just turned two. They both love to wear dresses and skirts so they would love this outfit. Lily also loves it when they wear the same outfit so this way I can make them just for them in purple and pink their favourite colours. I can see them in them now.... twirling and dancing around. Love this outfit. my granddaughter would die for it! !